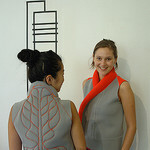 In this 8 hour Arduino-sponsored workshop we will explore how computing can be made wearable using the Arduino LilyPad and a selection of conductive materials to make textile sensors and sew electrical connections. Participants will learn to program an Arduino to read analog and digital sensor values and to interpret these values in order to control output such as light and vibration. Incoming values can also be read into other computer software such as Processing, Max or PD to trigger a whole range of events of effects. Besides learning the very basics of Arduino programming, participants will get their hands on a range of conductive and resistive materials, using these to build textiles sensors that can capture a range of physical motions and actions such as pressure, bend, stretch, squeeze and tilt. In order to quickly prototype interactive wearables within the workshop, we will provide a selection of open source lasercut felt designs that can readily be assembled to garments and accessories. The textiles sensors and fabric circuits can be stitched into felt and powered by battery to make final stand-alone objects. No previous experience in programming or sewing is required to participate in this workshop. 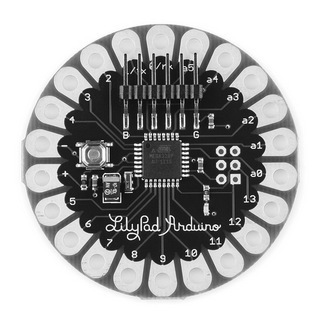 The workshop fee includes: 1 Lilypad, 1 USB cable, 1 Lipo Battery, 1 felt accessory kit, and a selection of conductive materials for making textile sensors.